Hailey Mears, a senior at Bishop Blanchet High School, has always loved to read and write and is looking forward to applying those interests into working on The Miter. 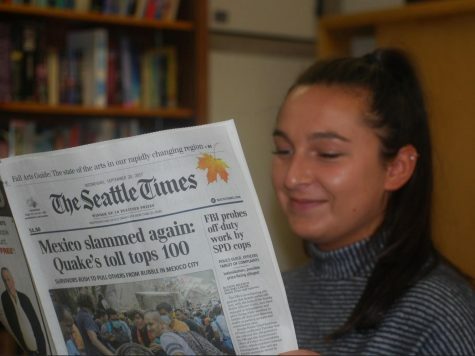 She is thrilled to be joining journalism, and is excited to share something so great with her fellow students at BBHS. Hailey is hoping to not only have fun, but also focus on improving as a writer and reporter. She loves attending Blanchet and takes any opportunity she gets to catch a soccer, basketball, football, lacrosse, volleyball game, or track meet. Hailey is a member of the swim team and enjoys participating in her meets as well. In her spare time, Hailey loves spending time with her friends and family, watching movies, and nannying. She also loves to stay updated and aware of whats happening in her community, nationwide, and across the globe. She does so by reading publications such as The Seattle Times and CNN.